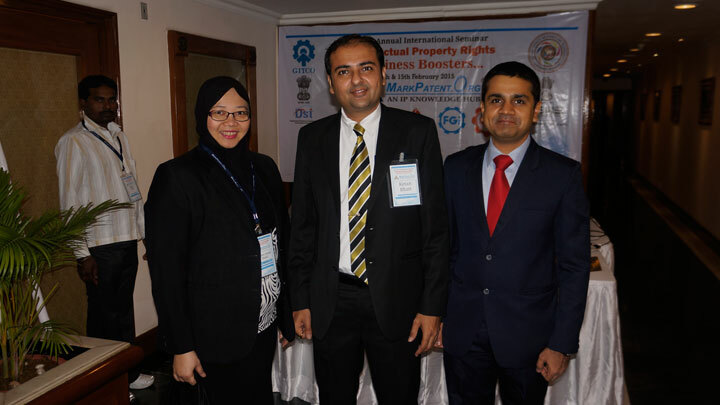 On 14 and 15 February 2015, our Senior Legal Counsel, Ms. Azlina Aisyah Khalid was invited to participate as a speaker at the 10th Annual International Seminar on Intellectual Property Rights in Ahmedabad, India. The said Seminar was organized by MarkPatent.Org. 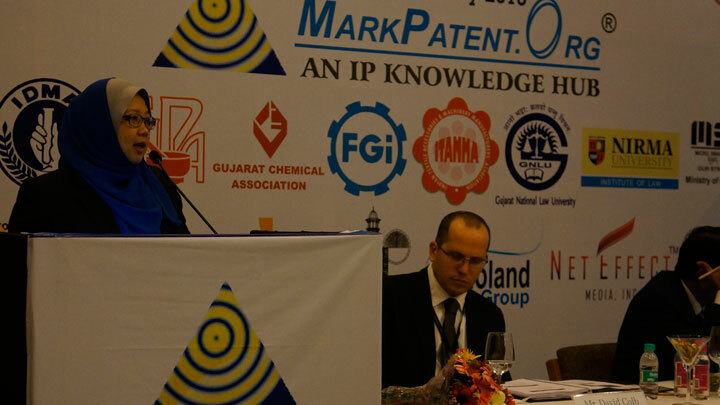 Founded in 2004, MarkPatent.Org is a non profitable organisation whose main objective is to create and promote IP awareness locally in India and abroad through various activities such as organizing trade fairs, exhibitions, trade delegations, seminars and lectures. This year marks a full decade since the International Seminar was initially organised and co-ordinated. To celebrate this milestone, a number of eminent speakers were invited from around the world including from the United States of America, Japan, Mexico, China, Malaysia, Spain, Israel as well as India as the host country. The seminar included topics on the latest IP developments around the various jurisdictions such as patent extensions and cultural traditional expressions/traditional knowledge. The Seminar which was entitled: IP Rights as Business Booster saw Ms. Azlina presenting a paper on the same subject but from the Malaysian perspective. Her presentation was very well received and it is hoped that the exchange of knowledge and IP information will add to the participants gaining a finer understanding of IP and how it can be used to enhance business both at the local and global level.